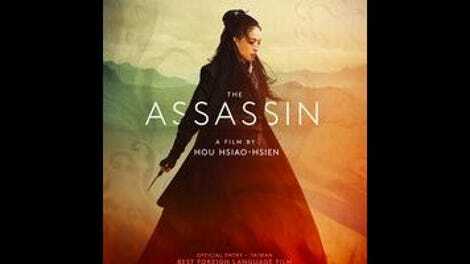 Enigmatic and often mesmerizing, super-saturated with color, drawn like a still plain ripped by brief, unexpected gusts of wind—The Assassin is one of the most flat-out beautiful movies of the last decade, and also one of the most puzzling. Returning to features after a prolonged absence, Taiwanese master Hou Hsiao-Hsien has made a martial-arts period piece like none other, keeping to the classic principles and conventions of wuxia—the storied Chinese genre of wandering warriors and codes of honor—while casting them in a mysterious light. Bold takes on popular genres generally set out to de-mystify, but Hou has accomplished the opposite. Washing away centuries of film and fiction, he envisions a tale from the Tang dynasty—about a deadly martial artist who must kill the man to whom she was once betrothed—as a window into the haunted otherworld of the mythic past. Perhaps the most confounding thing about The Assassin is how much of a straightforward wuxia movie it is, at least in retrospect. Raised since girlhood to be a remorseless killer of corrupt lords and court officials, Nie Yinniang (Hou regular Shu Qi) spares a target on account of his young son, and is punished with an assignment that’s meant to wipe away whatever speck of compassion she has left: to kill Tian Ji’an (Chang Chen), the cousin to whom she was promised in marriage as a child, and who is now the governor of Weibo. It’s a given that Yinniang—largely silent and nearly invisible, despite her stomping gait—can strike at any moment; the question that shadows every scene is why she doesn’t. She is there behind every curtain in Tian’s palace and on every rafter, listening, hanging like smoke, materializing only to disappear again—the passive hero as threat. Mood is key here, because though The Assassin has just about everything a viewer would expect in a martial-arts fantasy (outrageous fake beards, wire-assisted leaps, black magic, etc. ), it’s all muted and subsumed by a poetic atmosphere that’s radical even by Hou’s standards. At once ravishingly lush and starkly minimalist, shot almost entirely in boxy Academy ratio and scored to martial drums and birdsong, the movie seems to come from no time except the one it’s invented for itself. It follows, then, that The Assassin should make no effort to clue a viewer into the whos and whens of what’s going on in its bare-bones plot. (Moreover, the dialogue is spoken in classical Chinese.) It’s a movie most will be intoxicated by, but few will be able to confidently say that they understand—which may be the point, part and parcel with its conception of a world of gestures and values so absolute as to be nearly unknowable. Hou’s best films have all been meticulous period pieces—even the ones set in the present, which invest modern life with the melancholy of a lost era. 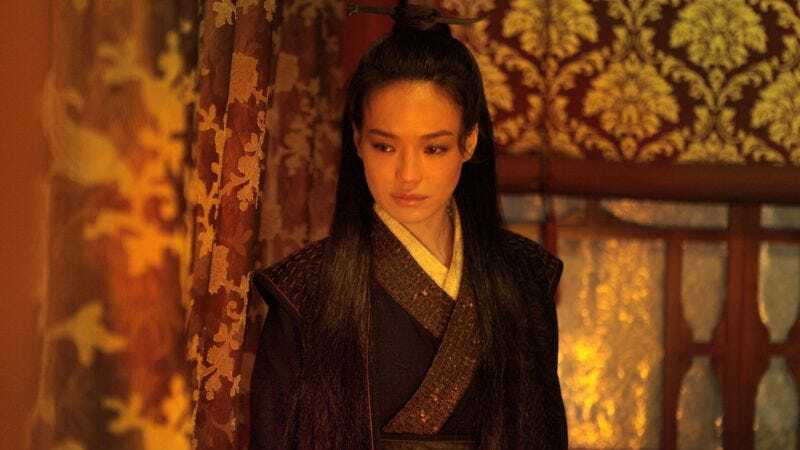 But though The Assassin is set specifically in the 9th century, the impression it leaves is less of a historic past than of a past that has been conjured out of painted wall scrolls, poems, and gongche notation. This is the past of artworks, in which everything from landscape to routine is art. The fights—no two of which are directed the same way—are quick exchanges of motion, sometimes lasting only seconds, the logic being that a master assassin like Yinniang shouldn’t take much longer to kill or disarm an opponent. Each is uniquely beautiful and terse, as though it were an artwork with an obscure meaning. Figures slip through a thicket of birch trees, flickering candle flames diffuse through the texture of curtains, flower petals drift over bathwater, clouds part in a valley—if nothing else, The Assassin is a product of remarkable vision, in that even the swaying of tree branches in a wide landscape shot seems orchestrated. Into what exactly is a different question. Dressed mostly in black, raven hair spilling down her shoulders, Yinniang always moves with purpose, resembling nothing more than a ghost reluctant to leave the world of the living. There is a key image here—of a rounded jade cut in half, one piece given to Yinniang, the other to Tian—suggesting two pure forms that circle each other, but can never be rejoined, and it is as captivating as it is frustrating.